Bonhomme Green - Bonhomme Woods neighborhood. 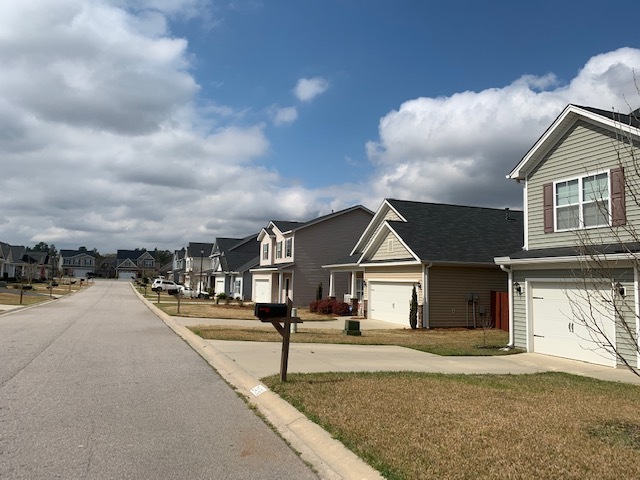 Bonhomme Green / Bonhomme Woods is an established neighborhood in Lexington SC located on Bonhomme Richards Road off Barr Road. The neighborhood has about 100 homes. It is one of the smaller neighborhoods in the area. The HOA dues are $85/ quarter which mainly covers the maintenance of the common areas. There are no other neighborhood amenities. The Bonhoome Green entrance has the patio style homes with adjoining walls. The exterior of the homes are a mixture of brick or stone accents, and vinyl. The price ranges from the $130,000 to the $175,000. The sizes range from 1300 sq.ft. to 2070 sq.ft. The neighborhood is zoned for Lexington 1 Schools. Zoned for Pleasant Hill Elementary, Pleasant Hill Middle, and Lexington High School.